A special formula created for the preventive control of skin ageing. It activates the skin’s vital functions, tones, smooths it out and balances its level of moisture. The result is a younger, more elastic skin recharged with energy and more vitality. ORGANIC BULGARIAN ROSE OIL – has a tonifying effect, smooths out the wrinkles, restores the firmness and elasticity of the skin, assists in the neutralization of the harmful free radicals. Suitable for all skin types. ORGANIC ROSE WATER – centuries ago it established itself as a cosmetic staple owing to its moisturizing, regenerative and tonifying properties as well as to its delicate floral fragrance. It is rich in bioactive ingredients and has universal action. 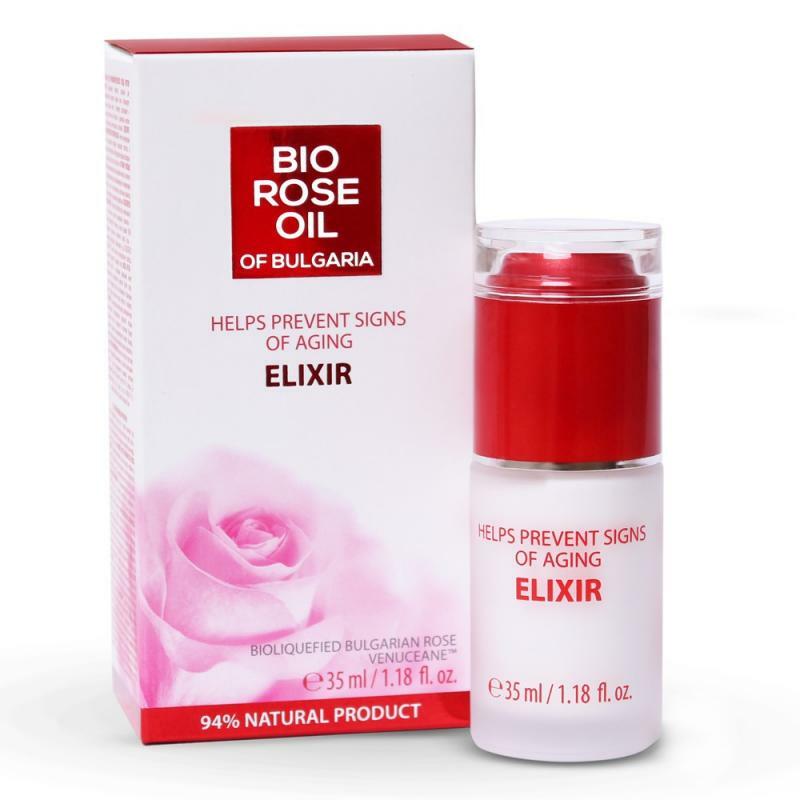 BIOLIQUEFIED BULGARIAN ROSE – Bulgarian rose extract obtained using the patented enzyme-based Molecular Bioliquefaction Technology. This methodology derives 100% of the bioactive components available in the rose flower in their native form such as flavonoids, carotenoids, polysaccharides etc. BIOLIQUEFIED BULGARIAN ROSE features high anti-oxidation potential and also soothes, hydrates and protects the skin. ARGAN OIL – effectively fights against free radicals and has preventive anti-age action. It nourishes dry, eczema-prone skins by restoring their barrier function. It leaves an exceptional feeling of softness and comfort. VENUCEANE – a product of high technology obtained by cultivating extremophilic algae that protect the skin cells from the damaging UV radiation. The ingredient guarantees the construction of a highly-effective skin barrier which thus provides optimal protection for the epidermis and the dermis. HOW TO USE: Apply to clean, dry skin with light massaging movements until fully absorbed by the skin.